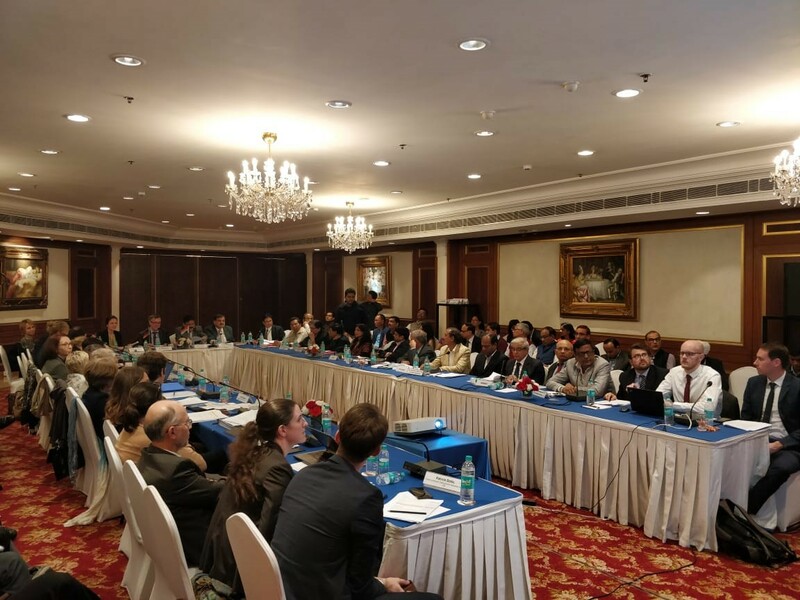 The Annual Indo-German negotiations between the GOI and the Government of Germany took place at New Delhi on the 28th November 2018. The delegation of the Government of India was headed by Dr C S Mohapatra, Additional Secretary, Department of Economic Affairs, Ministry of Finance. The German side was led by Dr Wolfram Klein, Head of Division, India: South Asia, Federal Ministry of Economic Cooperation and Development (BMZ), Government of Germany. This years Annual Negotiations marked the celebration of 60 years of successful development cooperation between India and Germany. The focus of this years commitments was in the priority areas of Energy and Urban development and Environment. Germany welcomed India’s initiative in the co-founding of the International Solar Alliance and India’s strong committment on Climate Action, renewable energy and energy efficiency. The Strong Indo-German Cooperation has been highlighted by an increase in trade between the countries and increase of German private sector investment in India. This year the german government has allocated Euro 915 million in the form of loans (Euro 887 million) and grants (Euro 28 million). NABARD was represented by Shri M C Thakkar, Chief General Manager, CPD and Shri Ramakrishna, DGM, CPD.